Book an appointment with our Licensed Massage Therapist, Pepper Posner! She received her License in 2014 here in Prescott at Arizona School for Integrative Studies (A.S.I.S). She is experienced in many techniques including but not limited to Neuromuscular therapy, connective tissue, Swedish and Trigger Point work. 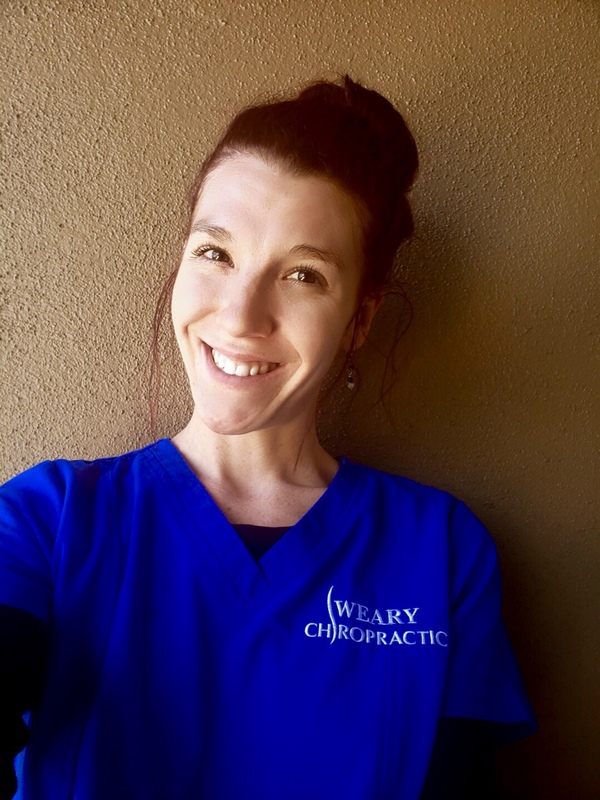 She is trained as a Chiropractic Assistant and will work closely with Doctor Weary to help provide you with an effective massage treatment specifically planned to meet your massage needs. However, being a chiropractic patient isn't required to receive a massage. She provides effective therapeutic massage specific to each individual!